A joint youth initiative launched by Al-Ghad Forum and Google at TEDxRiyadh here Sunday aims at finding job opportunities for the unemployed, providing safe housing for every citizen and resident of the Kingdom and developing an environment-friendly behavior among the people. Princess Nouf bint Faisal bin Turki, president of Al-Ghad Forum, declared her all-out support for the initiative (named Tamayuz), adding that it would promote a number of values such as innovation, positive approach, building hope, self-dependence and the readiness to take responsibility. The initiative is divided into eight branches to tackle major problems facing society, such as unemployment, the housing shortage, environmental pollution and educational issues. Young men and women aged between 17 and 35 in the Kingdom and belonging to different nationalities can join the initiative from May 21 to make their contributions and make it a success. More than 1,300 young men and women from different parts of the Kingdom are attending the three-day forum, which deals with major issues and challenges facing Saudi youths. Sixteen speakers addressed the forum on Sunday and discussed important topics concerning the youths in order to encourage them to make their contributions toward achieving sustainable development. Some of Sunday’s speakers shed light on how to develop the Internet industry and the new media in the Kingdom by presenting various success stories in the field. There were calls for improving Arab content on the Internet and developing innovative investment opportunities. Rashid Al-Balla, CEO of N2V, called for greater efforts from youths to achieve multiple successes in the Internet industry through innovation and knowledge expansion. He highlighted the qualitative improvement in the use and application of the Internet in the Arab world during the last three years. “There was a tremendous increase in the number of Internet users. 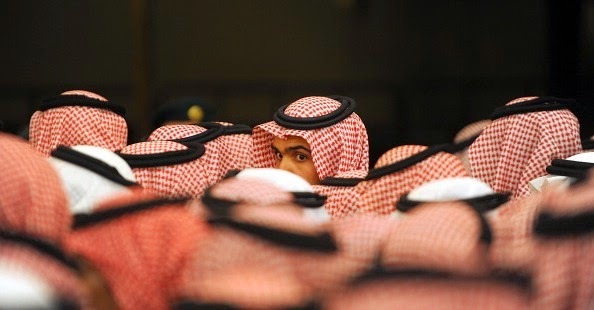 The number of Facebook users in the Kingdom rose to 3.5 million last month.” Al-Balla also pointed out that about 53 percent of Internet service developers in the US are Arabs. Abdullah Al-Assaf, a student from Imam Muhammad ibn Saud Islamic University in Riyadh, spoke about his experience in relief work using an interactive website. He also explained how he and a group of young men were able to locate a missing old man named Muhammad Al-Rajeeb by providing information about him. Maha Abahussein, vice president of a volunteer group named “Change Your Life” emphasized the importance of faith and confidence for the success of any initiative. She said a number of training courses she attended helped her overcome many problems in dealing with the public. Riyadh Gov. Prince Salman opened TEDxRiyadh Saturday and urged cultural and social organizations to hear the voice of youth and set out plans to ensure a better future for them. "The Saudi youth have proved their capabilities at national and international forums. They are the pillars of our nation. They are aware of their great responsibility toward protecting our religion and their country's achievements," he said. TED is a nonprofit organization devoted to ideas worth spreading. The purpose of TEDxRiyadh is to shine light onto some of the brightest youths in the country.